Known as Venom Desensitization or Allergy Immunotherapy, Venom Immunotherapy (VIT) is a therapy that answers the question of How to treat bee sting allergy once and for all! It’s a therapy that reduces the sensitivity to the allergens in venom that cause the allergic reaction. It uses small doses of venom or whole bees, that are injected under the skin. 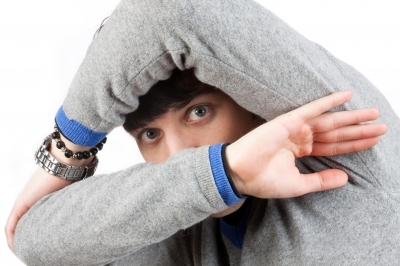 Over time the allergic reaction decrease or even disappear completely. Immunotherapy is available to treat allergies to stings from: honey bees, yellow jackets, hornets, paper wasps, fire ants. How many people are allergic to bee stings? There are different statistics. The older ones say that 1 to 5% of all the people in the world are allergic to bees or other insects like wasps and hornets. A 2012 review says that the numbers are higher, up to 25 % of the population, while anaphylaxys is about 3.5 %. In UK there are 4 anaphylaxis deaths from bee or wasps stings reported. The affected average age is 50. In the USA there are also reported fire ant allergy and anaphylaxis. In Switzerland, one person dies every year after a sting of a bee or a wasp. The numbers are really small, statistically we are more likely to die from being murdered, or killed in a road traffic accident rushing to hospital, than from the actual sting itself. Bee sting allergy tends to occur in high-risk groups such as beekeepers, gardeners and farmers. 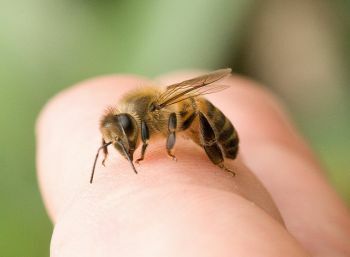 Beekeepers are specially exposed to bee stings. The development of a bee venom allergy is less probable if they are stung more often. Specialists say that beekeepers with more than 200 annual stings will never develop a bee venom allergy. How do we know we are allergic to bee or wasp stings? Some pain redness and swelling accompaning a sting is not considered an allergy but rather a local toxic reaction to the venom. This non-allergic reaction develops over a period of a few hours with no adverse consequences and settles over a day or two. The great majority of allergic reaction to insect sting are mild inconveniences that can be controlled by taking anti-histamines. – mild reactions with redness and swelling spanning to joints, intense itching and pain, all occurring within minutes from the sting. – more severe reactions which include: generalized swelling and itching (scalp, palms & soles of feet), urticaria and angioedema, faintness, sweating, a pounding headache, stomach cramps and vomiting, a feeling of “impending doom”, a tight chest or choking sensation with swelling of the throat and in extreme cases, anaphylactic shock and death. 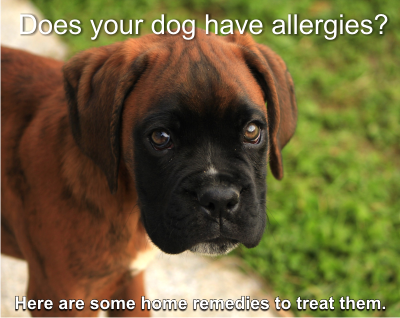 The allergic reactions may develop within 10 minutes after a sting, so early intervention is essential. There is no predicting whether future stings will result in more or less severe allergic reactions or anaphylaxis. However, if a long time has lapsed since last stung, the reaction is likely to be less severe. Usually there is a test done for wasp and bee venom allergy. It uses the ImmunoCAP RAST blood test that measures specific Venom IgE antibodies in the blood. But this test cannot predict the severity of future reactions. For potential wasp or bee sting venom anaphylaxis there are newer and more specific IgE component allergen tests, that are predictive of a significant clinical reaction. For wasp venom this is Ves v 5 (ImmunoCAP i209) and for bee venom allergy, the specific IgE antibody is Api m1 (ImmunoCAP i208) and these are good markers for a serious venom allergic reactions or even anaphylaxis. Both these tests are useful to identify the people who will benefit from sting desensitization after following injection immunotherapy. Life threatening reactions are more likely to occur in highly allergic individuals, elderly people with pre-existing cardiac or respiratory diseases or in multiple stings. A fatal situation requires like 1400 stings. Don’t panic that easily! Stings to the face, neck and scalp are more likely to trigger anaphylaxis. Do not exercise or have a hot bath after a sting as this may increase the venom distribution. The allergic reactions from bee venom run a greater risk of life-threatening anaphylaxis, than those coming from wasp venom. Read more on the first aid in case of a bee sting. The patient is injected on a regular basis with gradually increasing doses of venom until he reaches the maintenance level of 100 micrograms of venom. This is equivalent to being stung by quite a few wasps and bees! The treatment starts with a tiny dose and over the period of the immunotherapy the target maintenance dose is reached without any major allergic response. The patient is then “cured” of allergy, but has to be dosed up for the next few years just to keep desensitized. The theory is that eventually the patient doesn’t need the maintenance injections and is “cured”! The typical length of treatment is between three and five years. Rush Immunotherapy – a rapid form of treatment with injections every few hours for typically 3 to 5 days at the end of which the patient becomes desensitized. Standard Immunotherapy – it takes 10 to 15 weeks with the patient injected each week. Slow Immunotherapy – typically this happens in the event that the patient suffers a systemic response during treatment. The allergist will typically halve the next dose and then continue at a less aggressive rate than the standard immunotherapy. Is there a preliminary test needed? Testing for wasp and bee sting is not straightforward. Patients are usually offered a skin prick test or a blood test which, in theory, determines to which insects the patient is allergic. Yet, it is best to have a detailed history of the patient because the test results can be imprecise and the body changes its allergic state quite suddenly. There have been a significant number of cases of people who have had systemic life threatening reactions, but had negative test results. According to most doctors, a specific IgE test is needed, and immunotherapy should not start without it. – once per week, for 11 weeks, starting from a tiny dose and increasing it gradually, till the top dose. – once per month, for 3 months, using the top dose. – once every 3 month, for 3 years, with the top dose. Before each injection, some factors are checked: pulse, blood pressure and peak respiratory flow. The doctor will ask the patient some questions about general health and any allergic reaction with any previous injections. The injection is given in the outer aspect of the upper arm by the doctor or nurse, and he may experience some discomfort at the site of the injection. The patient has to remain in the hospital or clinic under observation, for one hour. During this time there will be have further measurements of the pulse, blood pressure and peak respiratory flow. At some intervals during the 3- year desensitization, the patient will be asked to have a blood test to monitor the specific antibodies to venom. During the treatment, are there any side effects? There are no severe adverse reactions. The adverse reactions can occur within an hour after the injection. As the treatment is done in a hospital, a doctor or a nurse will be present during the treatment and the patient will be carefully observed for one hour. Desensitization can only be carried out in specialized clinics. Don’t do it at home. In the beginning, the injection site may become slightly swollen and itchy for up to 2-3 days, but these reactions generally improve once the top dose is reached. 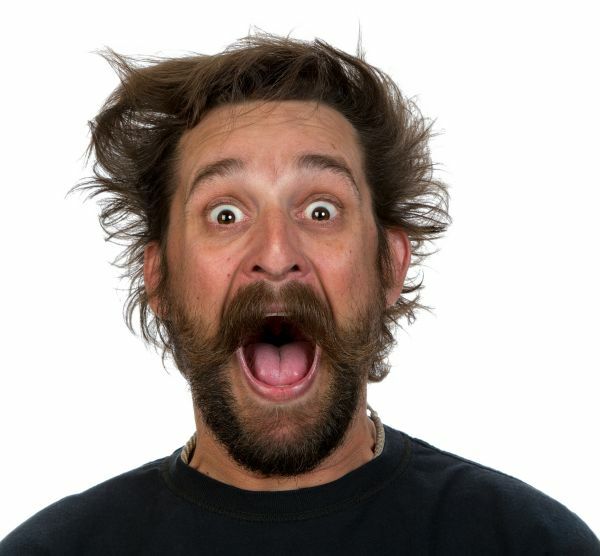 Some patients can feel tired for up to 24 hours after the injection, especially during the first three months. More serious reactions are less common: generalized itchy rash, asthma, itchy eyes or nasal symptoms. All these are immediately treatable. Very rarely, a severe allergic reaction can occur soon after the injection. But it can be treated quickly by the clinic doctor. Exercise can increase absorption of allergen from the injection site and can lead to increased risk of side effects. Which is why no vigorous exercises, no strenuous use of the arms should be undertaken for 24 hours after the injection. If the patient has a cold, flu or a fever, the injection will have to be postponed until full recover. The success of the desensitization against bee venom is about 80 %, while that against wasp venom allergy is of approx. 95 %. However, long-term improvement is only seen if the patient continues the therapy for at least three years. In February 2012 the National Institute of Clinical Excellence (NICE) issued a technical appraisal which confirmed the efficacy of the treatment to patients and its cost effective. Any studies and clinical trials? 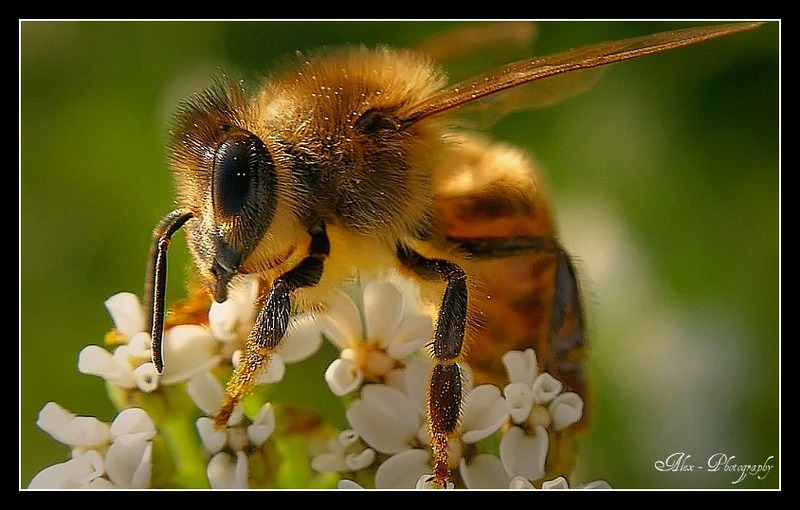 • Here is one published by The British Medical Journal, in 1958: “DESENSITIZATION TO BEE STINGS BY INTRACUTANEOUS INJECTIONS OF WHOLE-BEE EXTRACT”. The study was made by DAVID ORDMAN, M.B., Ch.B., D.P.H. at The South African Institute for Medical Research, Johannesburg, South Africa. In their study 24 persons sensitive to bee stings submitted to desensitization with very good results. The study included people from South Africa. The allergic reactions were common and included: local reactions in redness and swelling at the site of the sting and general reactions in rash, urticaria, oedema of face and glottis, and often anaphylactic shock, with collapse, unconsciousness, and even death. There were also malaise, vomiting, dyspnoea, or bronchospasm. These effects appeared within minutes after the sting or reached their climax some hours later. The allergy was not sudden. The patients reported that after the initial sensitizing sting, which may have been many years ago, a longer or shorter period of freedom from significant reactions followed, and then the symptoms increased severely with each following sting. Here is an example: A 44 years old farmer had frequently been stung, as a boy and young man, with more or less severe local reactions after each sting. When he was stung again in 1952 there was little local reaction, but within three minutes he became unconscious and remained so for two hours. On recovery he had a ” choking ” sensation, with headache and malaise continuing for a day or two. What was it used for desensitization? A preliminary skin test was needed. The purpose was to determine the degree of the patient’s sensitivity in ” units ” to the particular batch of bee-protein extract in use. For more details of this study, please read the entire article here, on ncbi.nlm.nih.gov. • In 1979, the study Desensitization of patients with bee sting allergy using pure bee venom, was condicted by Abkiewicz C et al. Forty patients who had previously experienced severe systemic reactions after a bee sting were desensitized using pure bee venom. The study is published by ncbi.nlm.nih.gov. Desensitization is not usually started or continued during pregnancy because of the risk to the baby should a severe reaction occur. For further readings you can also see these sites: www.allergyfoundation.com; http://www.allergy-clinic.co.uk/more-about-allergy/wasp-allergy/; http://www.insectstings.co.uk/immunotherapy/ and so many others available online. • Bee venom for therapy: arthritis. What is apipuncture? My daughter is anaphylactic by bee sting. she is 7 years old and they dont do desensitization on that age. is immunotherapy is to be considered? thanks for the opportunity to chat with you. 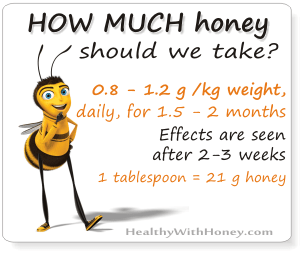 I’m not allergic to bees, but this is very good information to know just in case. Thanks. So i have been bee keeping for 6 months now and have been stung off and on with a local reaction that lasts for 2 days max with itching and some swelling at the site after 24 hours. Recently, i was stung several times at once.. and a couple times in the face. Within 15 minutes, i developed hives on both arms (nowhere near the stings)that didnt itch. I took benadryl and they went away soon. What are your thoughts? 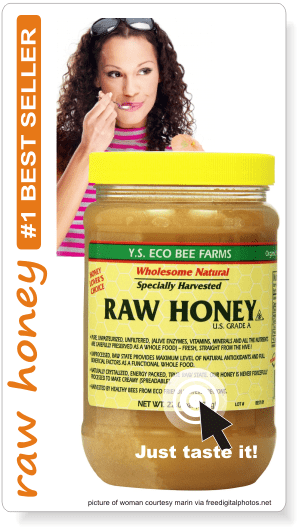 This site is more about honey and less about beekeeping. From what you say it is clearly an allergic reaction. You’ll need to contact the nearest apitherapy clinic and ask for an opinion. 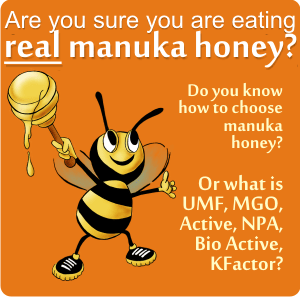 Other experienced beekeepers can also help you. Try the forums. I’m sorry I cannot help you with more. 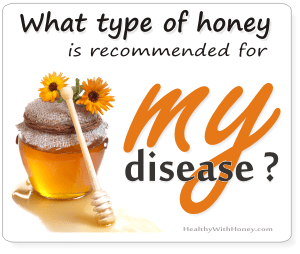 Hi , I have been beekeeping for 2 years and at first I was not allergic to the stings, would be a little red. I have now become dangerously allergic and am going to begin immunotherapy soon. I read it’s a different type of allergy if you wasn’t allergic from the start? Not sure exactly why. I have also read the success rate is very high for desensitisation . It may be a different type of allergy, but in the end it doesn’t matter the name doctors put on it. What’s important is that it can be fixed. Don’t waste time and go do the desensitization. But do try immunotherapy, your allergy may just as well not have any psychological side, only a physical one that can be solved with immunotherapy. Lots of luck to you! Nice site very useful information. I’m sorry, I don’t know anything about this. And to make a research I should know more about this subject. I’m sorry I cannot be of help. I’m not sure I understand your question. I heard of chicken egg yolk used as an antivenom (the viper’s). But not of bee venom injected into chicken eggs. What would be the purpose of that? I’m sorry, I don’t know more. But if I see something I promise to come back to you. Or maybe, I haven’t understand the question correctly? very informative post. It seems like venom immunotherapy somewhat follows the concept of the vaccine. Injecting the pathogens so your body develops antibodies and gets accustomed to them. I am just wondering in which cases would one need a rush immunotherapy? If one is expecting to be exposed to bees in the short term? During the therapy, side effects are possible of course. That’s why the injections are done in a clinic, under medical supervision, and you’ll remain there for an hour after that. If during the 3 years of therapy, a person gets stung I suppose the allergic reaction are well diminished, yet not gone. The important thing is to carry on with the therapy, for the whole period. The type of protocol is decided by the therapist and specific of the country. You may suggest a rush therapy, but your therapist decides this, based on his experience. Hey, I didn’t realise this was the process to treat bee sting allergies. I’ve never actually been stung by a bee (YET!) but a friend of mine has and his throat swelled up. Maybe I should get this procedure done as a preventative measure. What do you think? 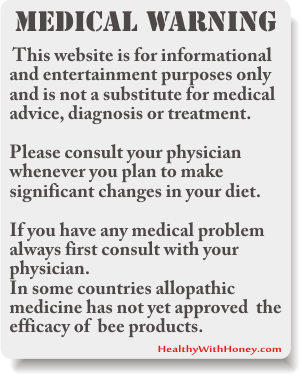 Really helpful website for those who are a allergic to bee stings. Well researched and user friendly. Thanks for the information! And I thank you for your visit. I’m part of the 25% of the population that is allergic to bees. Immunotherapy is VERY appealing to me. Thank you for the spectacular information! Your comment justifies my work here. A big Thank You for letting me know it helped.